The single-engine Express S-90 plane took off around 1:30 p.m. at Sierra Sky Park, which has a runway lined with houses. One neighbor, Mike Rhodes, said he was outside when the plane took off. Rhodes, along with first responders, found the plane partially submerged in the river north of the runway. The crash left pieces of the plane scattered in the water and the aircraft bent backwards. Firefighters recovered the bodies hours after the crash. Authorities have yet to release the identities of the victims. 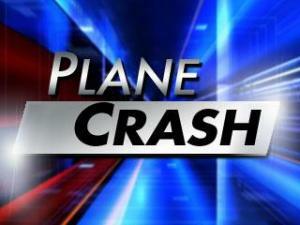 The cause of the crash is not yet known. An investigation is ongoing. Fresno rescue and HAZMAT teams made sure there were no fluids leaking into the San Joaquin River.